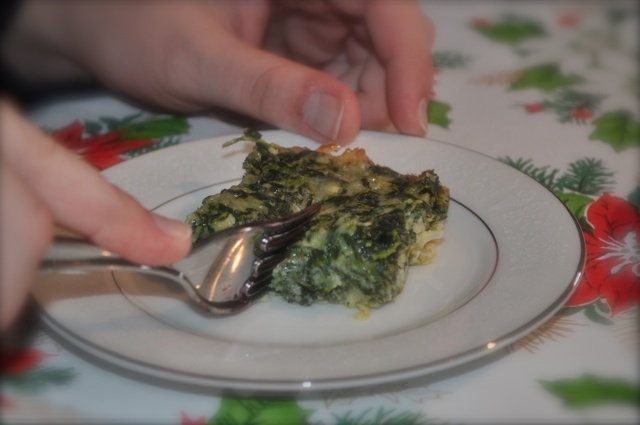 These spinach squares are a nice alternative to quiche as they are heavier on the spinach and lighter on the eggs.Â They make a great snack, hors d’oeuvre, or brunch buffet item.Â I like to make them for pot lucks and holiday gatherings since they’re easy to make. The original recipe can be found at AllRecipes.com, though I only use 8 oz. of cheddar instead of the full pound that the recipe calls for.Â I highly recommend using a very sharp cheddar such as Cabot’s Seriously Sharp Cheddar. This entry was posted in Appetizers & Snacks and tagged All Recipes, recipe. Bookmark the permalink. Yum! Can’t wait to try this- thanks for the Cabot support!